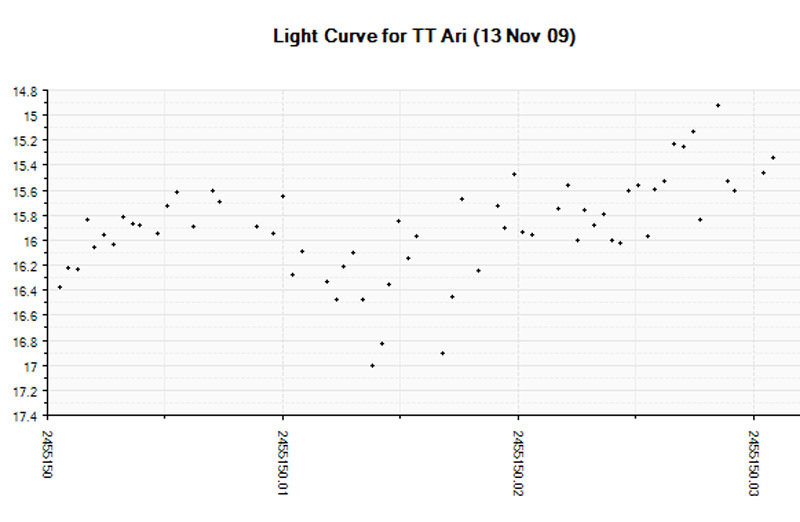 This is a time series of observations of a dwarf nova cataclysmic variable in the constellation of Aries (TT Ari). The observations lasted only an hour. Viewing conditions were marginal at best. 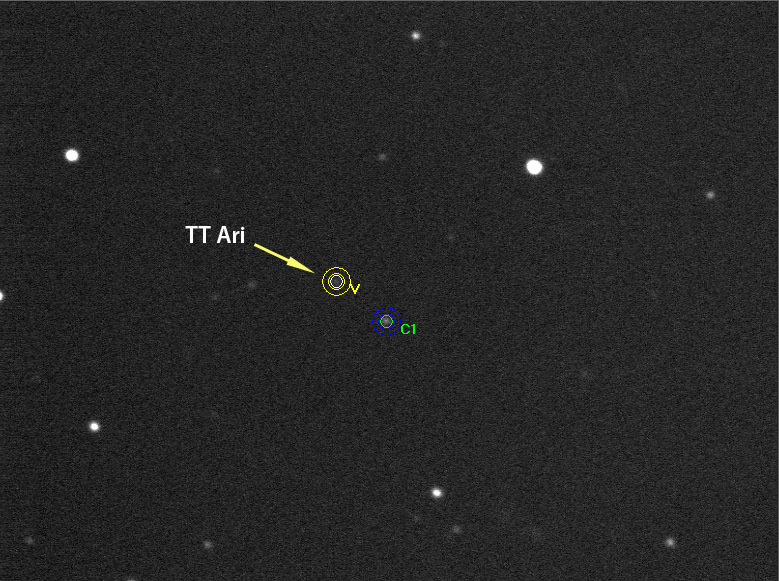 The accompanying image shows the star field with TT Ari labeled as "V" and the comparison star marked as "C1.” TT Ari at this point is fading fast from its non-nova outburst.